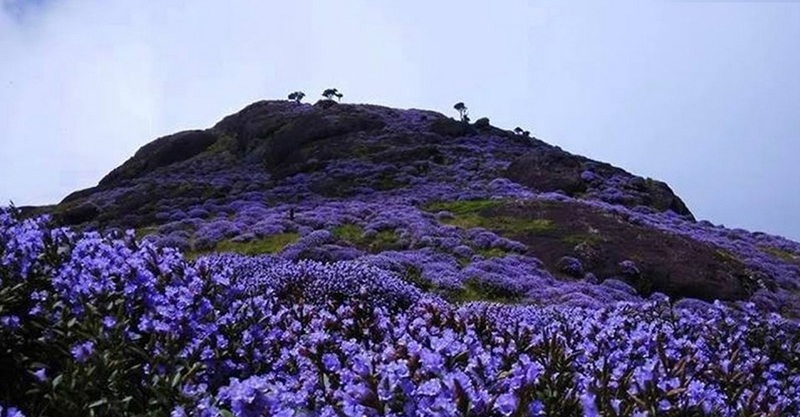 The online ticket sales for the Kurinji 2018 season will commence by the end of June with revised entry fees, according to the Idukki district administration. A revamped and more user-friendly website of the Wildlife Department will go live on the same date. “Seventy-five per cent of the ticket sales are going to be through online,” confirmed Munnar wildlife warden R. Lakshmi. Rest of the 25 per cent of the tickets will be sold from counters set up in Marayoor Wildlife Complex and Old Munnar. The counter at Eravikulam National Park (ENP) won’t function and Old Munnar will act as the base for offline sales. Though nominally, the entry fee to the park has been hiked this season. The increase is happening after a gap of three years. Visitors will have the option to book tickets in advance a month ago. The Wildlife Department is planning to limit the number of booking per user. It will be limited to five tickets per user at a time. The status of tickets will be displayed on the website and via digital boards at Adimali, Marayoor and specific points en route Munnar. To avoid crowding, each visitor will be allowed to stay on top ofRajamala for 2 hours from the time of entry. Though NATPAC suggested allowing 4,000 visitors per day, the Wildlife Department is eyeing to limit it in between 3,600-4,000. Currently 3,000 visitors are allowed per day at the park. Tickets are currently issued from 8 am to 4 pm. This will be extended by 2 hours, making the park timings 7.30 am to 5.30 pm, during the kurinji season.